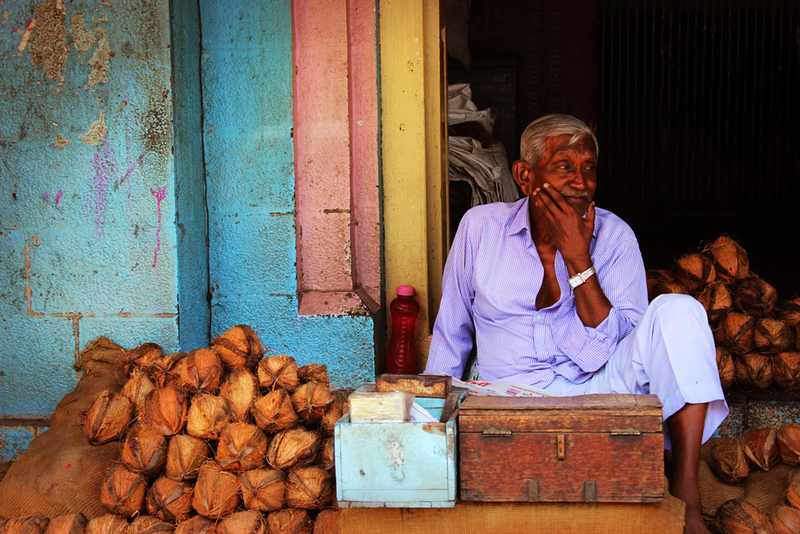 View of a traditional vendor who sells coconut at his old shop. 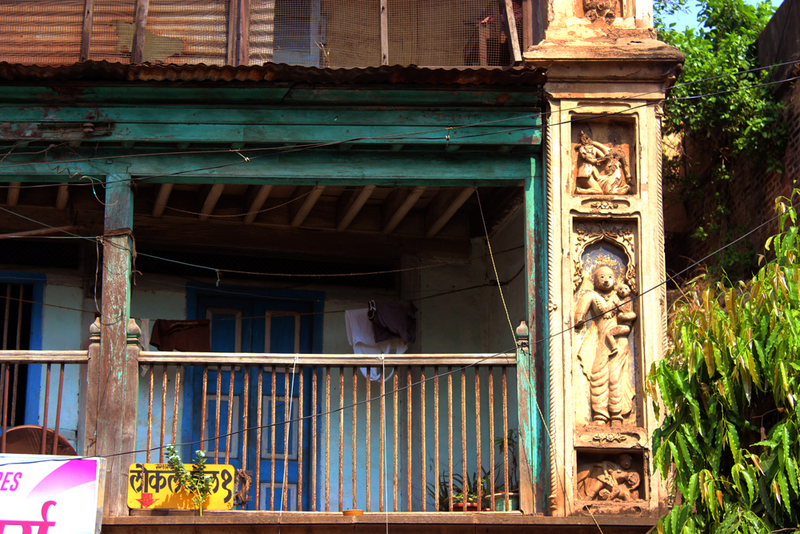 Balcony of a house with beautifully sculpted pillar which is an evidence of amalgam of colonial and Indian architectural styles. 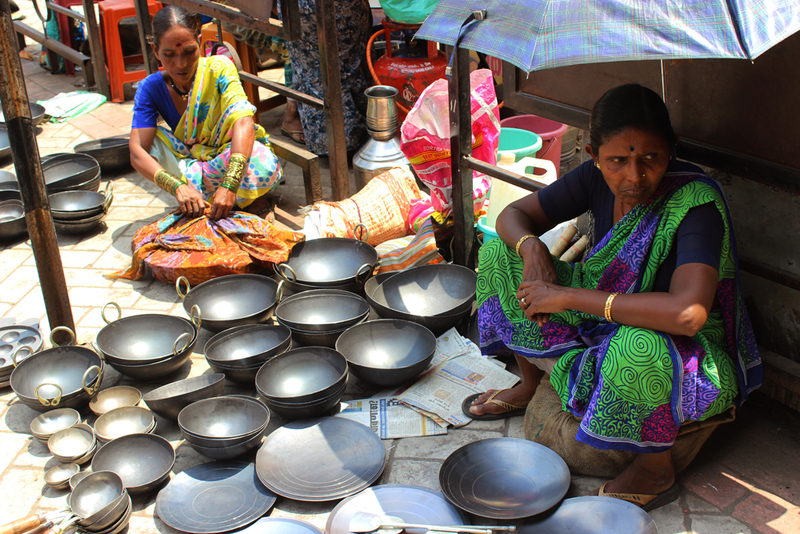 During the sunny day the lady merchants are waiting for their customers. 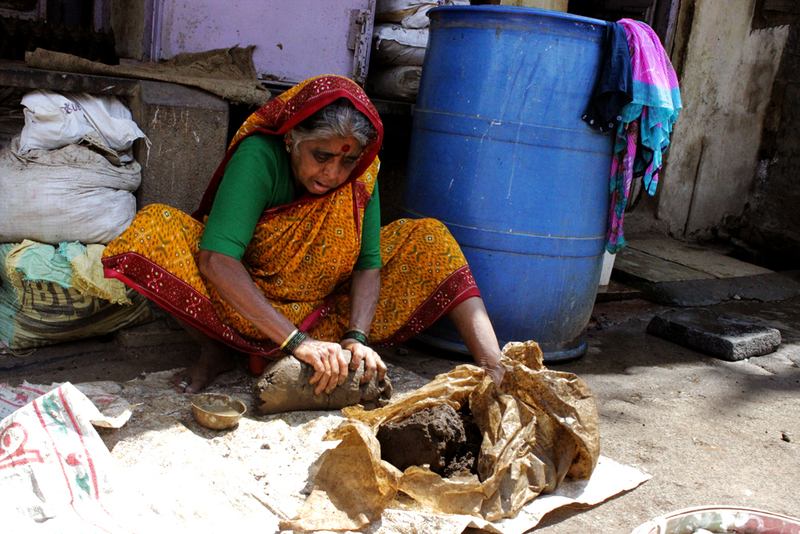 An old lady preparing mud dough for making artifacts; usual visuals at kubhargali of Kolhapur. 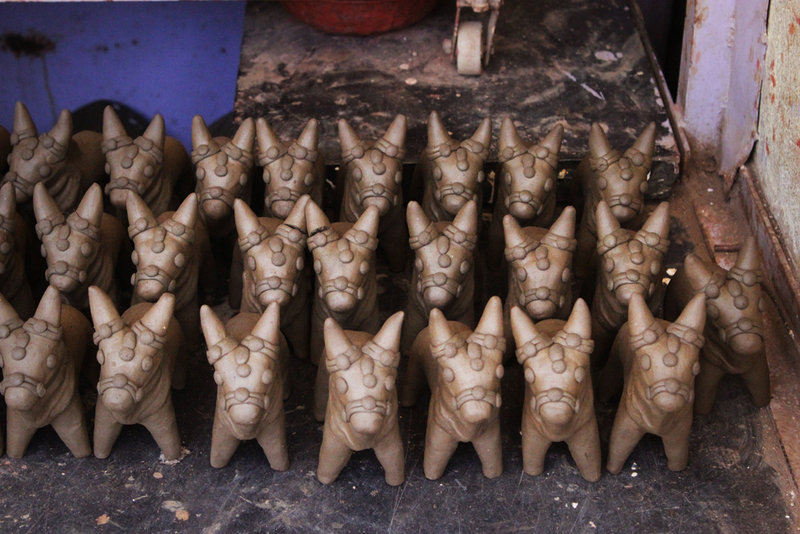 Freshly made bulls idols are kept for drying. Idols of Nagdevata and bulls made out of mud for the farmers festival Bailpola and Nagapanchami. 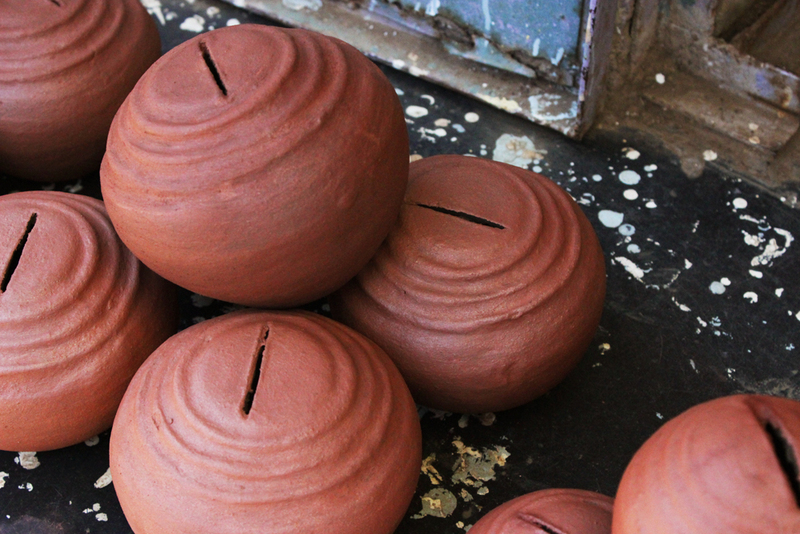 Ecofriendly money pot; very common visuals in Kumbhargali. 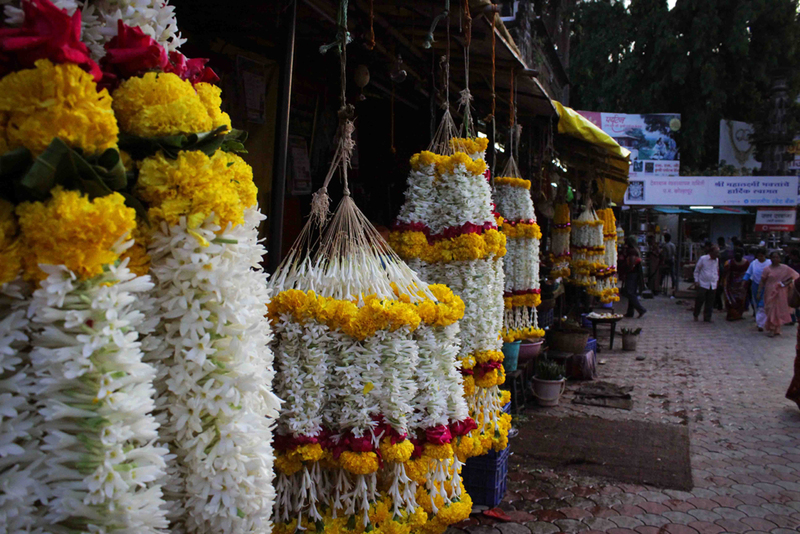 Heartwarming view of garland shops near Ambabai Temple. Goddess Renuka also known as Yellamma; a close up view. Devadasi of Yellamma with the shrine. 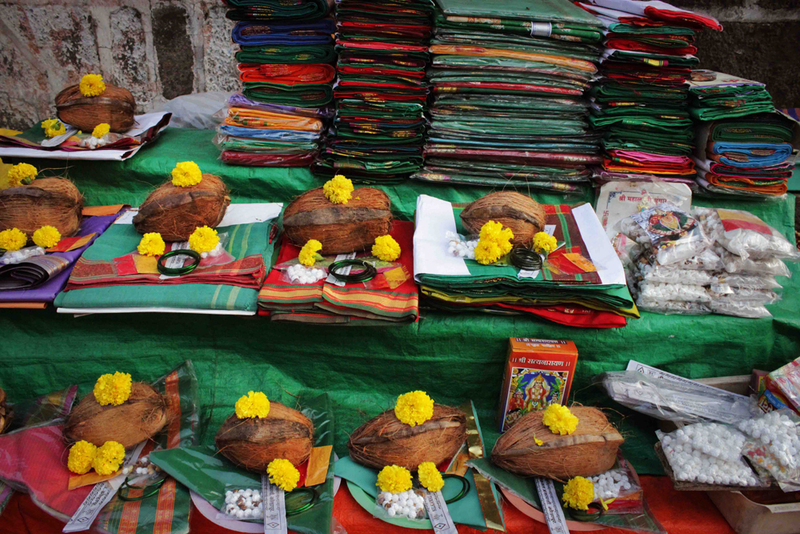 Offerings for the Goddess Mahalashmi displayed outside a shop for selling. 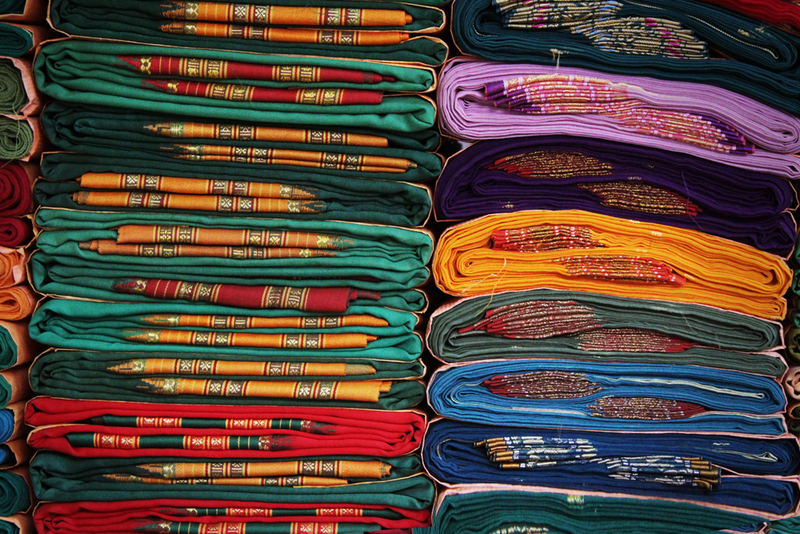 Sarees are one of the imperative offering for the Goddess Mahalakshmi. 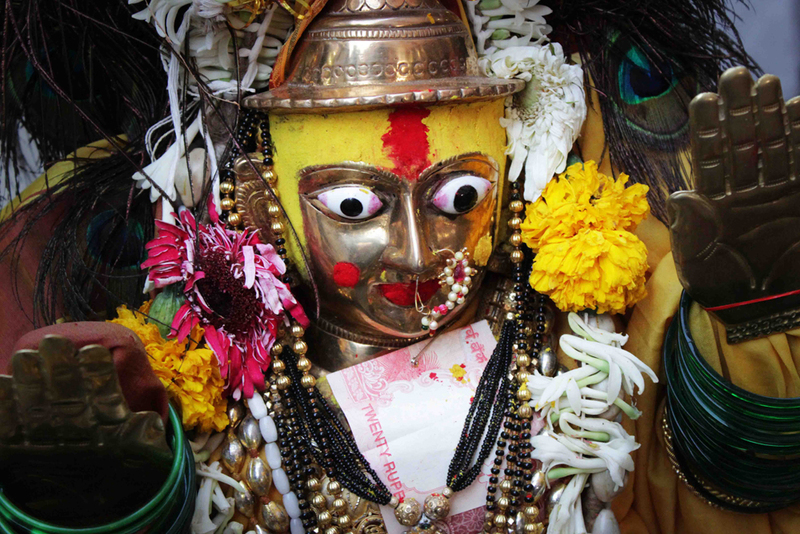 Kolhapur, the dwelling place of Ambabai is one of the oldest pilgrimage places in India. The journey through the lanes of Kolhapur gives visual extravagance to the voyager and every single element is having ample of stories to communicate. Exploration of Kolhapur and its culture should start from the surroundings of renowned Ambabai Temple. The serene atmosphere takes the voyager to another pinnacle of life. 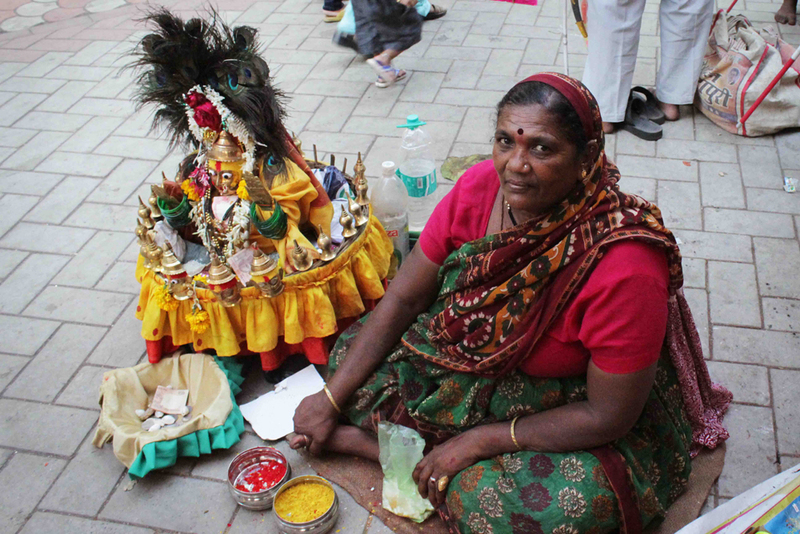 The streets were having the aroma of tuberose flowers, water lilies, lotuses and marigold flowers and view of garlands hung outside the shops, offerings for goddess Mahalakshmi makes the atmospheric view divine and auspicious. Kolhapur is a culturally rich place where you get to see plenty of visuals which will make you wonder and curious. Devadasis of Yellamma is such a visual which you may not get see everywhere in India. The exploration can be taken forward to the lanes of Kolhapur to understand the age- old lifestyle and tradition. You can witness many old buildings shining under the sunshine even after losing their charm which are paradigms for cross culture. Even in this era of digital printing, beautifully hand written typographic name boards are really an exceptional visual treat to visitors. Traditional street merchandisers are another attention grabbing visuals which will drive your curiosity up to explore them. The appreciable facts are their costumes; few of them are still in traditional Maratha attire and the shops are having very traditional rustic layout which will mesmerize each traveler and facilitate to understand the essence if village life where there is no sophistication and corporate rules. Lanes in Kolhapur is amazingly fabulous with their distinctive identity and character. KumbharGali, etymologically kumbhar means potter and Gali means lane; is one another beautiful lane in Kolhapur. 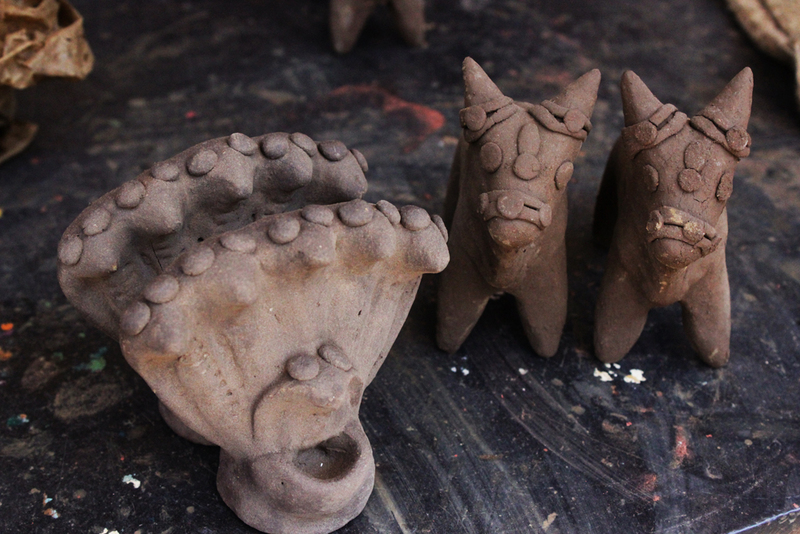 In Kumbhargali you will get to see traditional artisans who make clay pots and other artifacts. During Bailpola, the famers’ festival for bulls they make beautiful idols of bulls which has very folk designs and patterns.